Julie Fuller is the super creative owner of Tokyo Blossom Boutique where she sells Christian gifts for women. She’s married to a fellow creative, and together they have one handsome son. As a busy Etsy seller and mom to a darling boy with special needs, it’s critical that Julie makes the most of her time. 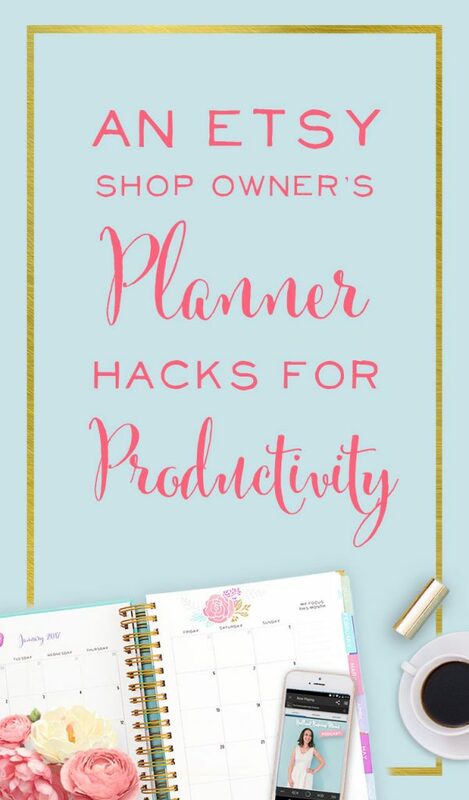 Press play on the podcast player below or keep on reading to hear all about Julie’s brilliant planner hacks. Fun side note here! : Julie was one of the very first listeners of the Brilliant Business Moms podcast! Julie and I got to hang out at a conference in Nashville last year, and I wasn’t at all surprised to discover she’s as sweet in real life as she is online! 1:30 – Not Sure How to Grow your Biz? Listen To Your Customers! Julie’s shop, Tokyo Blossom Boutique, has gone through a bit of a transformation in the time I’ve known her. Lately, her business has been growing in fabulous ways, and I just had to hear what changes Julie’s made that have led to her new growth! Through 2016, Julie was selling lots of hand crochet and knit items. One of her products, knit cup cozies, was selling WAY more than the other items, but she couldn’t figure out why. At that time in business, Julie had been working hard to make her brand visually unified, rather than focusing on a target audience. Early in 2017, Julie decided to focus on developing more encouraging products that her customers would love. She revamped her shop and made mental notes of which products to purge and which to keep. The cup cozies, of course, stayed! Another favorite product, her planner clips, got a makeover; Julie redesigned them to incorporate inspirational messages. And the switch worked! Many customers are using the planner clips not just for planners, but to accessorize their Bible journals. Tokyo Blossom Boutique is now happily a Christian gift company! The day following our recording, Julie moved into her first retail space! She’s officially a vendor at Woodstock Market, which is a huge retail store of local makers selling home decor and gifts. Julie had been eyeballing this place for a year and a half…she knew it would be a great opportunity! Plus, once a vendor gets in, they receive lots of traffic and attention from local businesses and boutiques. Though Julie’s desire to have space in a retail setting was strong, she knew there was a lot that had to happen in her business and personal life before justifying the risk. Julie’s husband Scott had recently started his own creative business, and she wanted to give him time to get his business going strong. Julie wanted to have the confidence that even a small risk wouldn’t hurt their family. A wise move on Julie’s part was that she also wanted to make sure her shop was ready for a bigger platform. Though her products were visually appealing and high quality, she wasn’t confident that she could give a tidy description of her shop in one sentence. 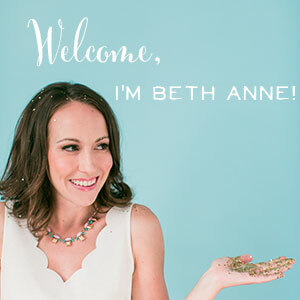 She wanted to work toward that unity within her business before contacting Woodstock Market. The right time turned out to be 18 months after she first started thinking in that direction. Julie had a peace about finally reaching out to the merchandising coordinator and putting in her application, and she heard back the very next day! Those magic words, “You’re a perfect fit, and your products are just what we’ve been looking for!” were exactly what she needed. Since Woodstock Market is Christian-owned, they’d been looking for a vendor who offered Christian gifts. Talk about perfect timing! After Julie got her initial call back from the space, she then had to go through an interview process. Julie says that she appreciated how honest and validating her discussion with the merchandiser was. Julie asked hard questions, like “What if I bomb as a seller!? And can you explain the details of this contract?” And she got straightforward answers right back. In fact, everything worked out so perfectly, that Woodstock Market actually made room for Julie when they had just booked their last spot! She’s been getting great feedback from her in-store shoppers. And it’s encouraging to Julie that many local stores got their start as a vendor at Woodstock Market. I already love Julie’s planner clips, but planner clips aren’t the only creative planner hack she’s made! Julie has experimented a lot with the Brilliant Life Planner. The planning pages at the beginning of the year and each month have been a big part of her goal setting. But, like most of us, Julie says most of her hang-ups come during those daily, mundane tasks. She would look at the blank week ahead feeling like a deer in headlights! What were all those nitty, gritty business tasks she had to do? 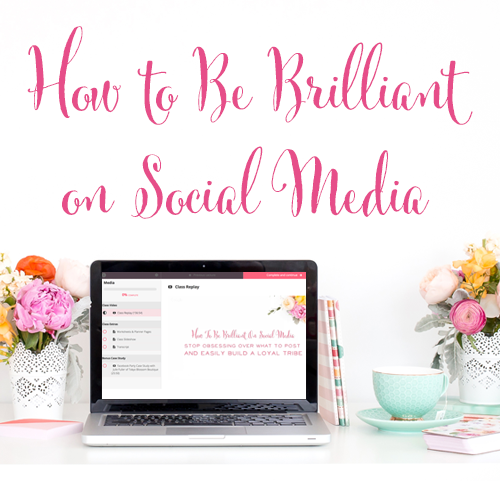 Planning for social media, sending her newsletter, marketing, and contacting the right people…the list was overwhelming! 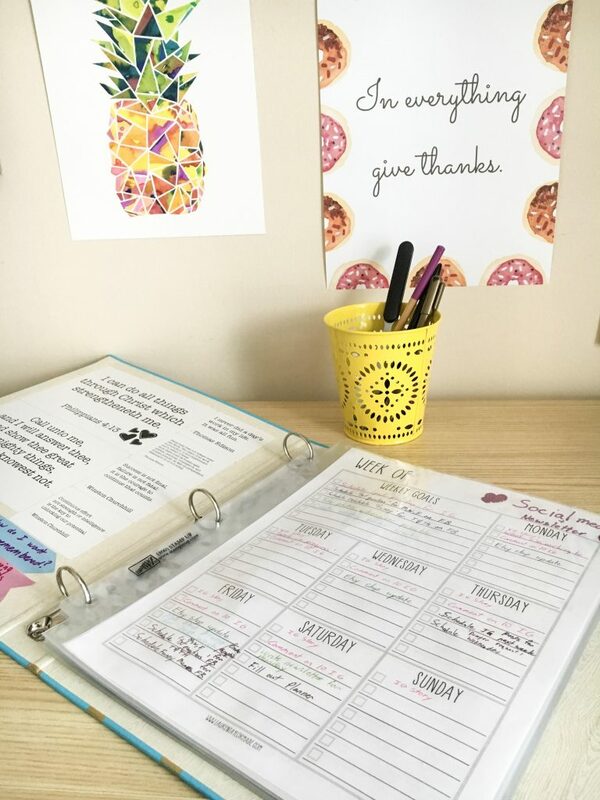 Inspired by Crystal Paine’s Homemaking Binder, Julie made a master binder for her business that she incorporates in her planner. She listed all her weekly, recurring business tasks by day and tucked that list in the front pocket of her Brilliant Life Planner. Now Julie tackles that blank week with confidence! She fills her schedule with the regular tasks first and then adds in all the unique ones. 16:00 – How to Make Sure Important Biz Tasks Always Get Done! 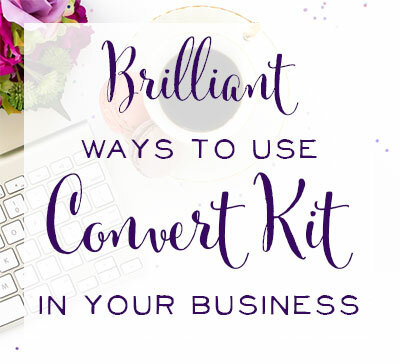 Julie’s system for tackling recurring biz tasks is brilliant! She has an awesome system in place to make sure none of the important tasks in her business fall through the cracks. She makes progress on all of them each week. So what are some of Julie’s recurring business tasks? On Mondays, for example, she makes it a point to give her Etsy shop an update. How does everything look? Are her listings up-to-date? Is there anything new she wants to add to her Shop Announcements? Julie keeps regular tabs on her shop so it always shines. Does Julie kick herself if she misses one week of shop updates? Not at all! But having this important to-do on the schedule ensures it gets accomplished more often than not. Some other biz tasks Julie keeps on her recurring list are interactions with fans on Instagram. Like many of us, it’s easy for her to update Instagram, but not necessarily to remember to come back and interact with fans, so she puts it in her planner. Julie also includes a list of who to contact for marketing, such as wholesale businesses and box companies. So brilliant! If marketing isn’t a regularly scheduled part of your business, growth is pretty hard to achieve! 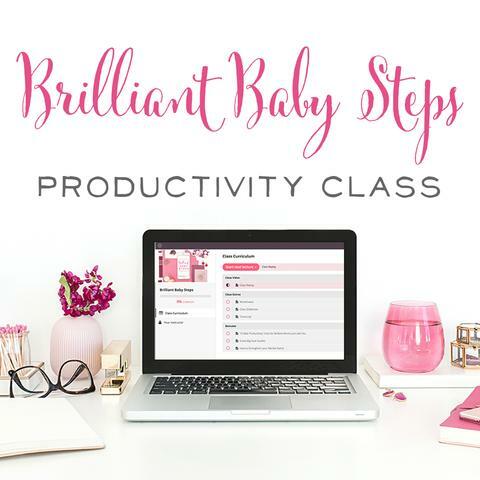 17:00 – Brilliant Planning = Crushing Goals! Julie’s planning strategies have allowed her to meet her great big goals, and I couldn’t be more excited for her! In 2016 she doubled her sales from 2015, and for 2017, her goal is to double her sales AGAIN! Julie is well on her way to reaching that milestone. At the time of this recording, she’s up 60% in sales from where she was last year! And with space in a retail setting and Christmas coming, hitting that goal is definitely within reach. Let’s be honest, meeting these goals didn’t happen by accident. Julie has been super organized and strategic in making steady progress on her business every week. 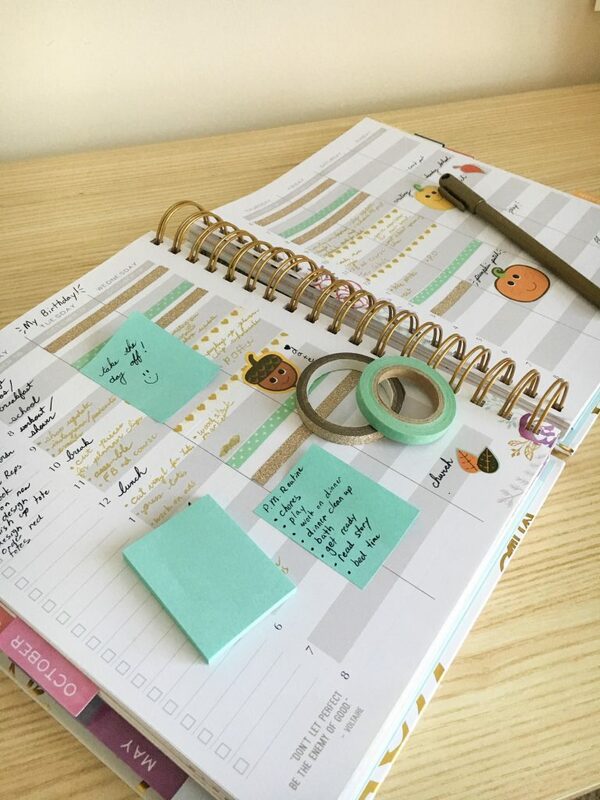 So, does Julie have any other tips for making the most of her planner? Yes! As moms, a lot of our schedule outside of business can be counted as recurring, like picking up the kids from school, or a weekly lunch date with our husbands, as is Julie’s case. Julie noticed that she was writing the same words and events over and over again. As a result, her pretty planner was getting cluttered! For those daily recurring items, she writes them all out in the slots on her Monday section. And instead of writing the same task or event sideways across the week, over and over, she takes a piece of washi tape and tapes out the same hourly slot through the week. It’s one way she keeps her planner neat and pretty, plus saves herself time. The same washi tape hack can be used if Julie has a vacation coming up. If she needs to block out a full day or an entire week, Julie just stretches washi tape either vertically down the day, or horizontally across the week. Brilliant! Julie uses 2-3 clips in her planner at all times. She uses one to mark her weekly planning page, and another for the monthly page. Marking the monthly page helps Julie make sure she doesn’t add events to her week that overlap with anything previously scheduled. And when she’s working especially hard for a goal (like doubling sales from last year!) she adds a clip to her goals page too. I just love this hack! 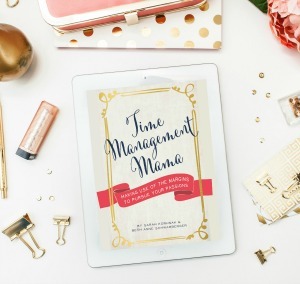 Julie saves herself loads of time by speeding up all the small tasks she’s doing each day… like flipping through her planner! 21:15 – A Bonus Hack + A Fun New Addition for Planner Lovers! Another great spot for using a planner clip is to mark your Habit Tracker page. But speaking of the habit tracker page, Julie (and many of you!) have asked if there are plans to include the habit tracker on the monthly page. While we haven’t changed the format of the planner, we ARE creating habit tracker stickers! 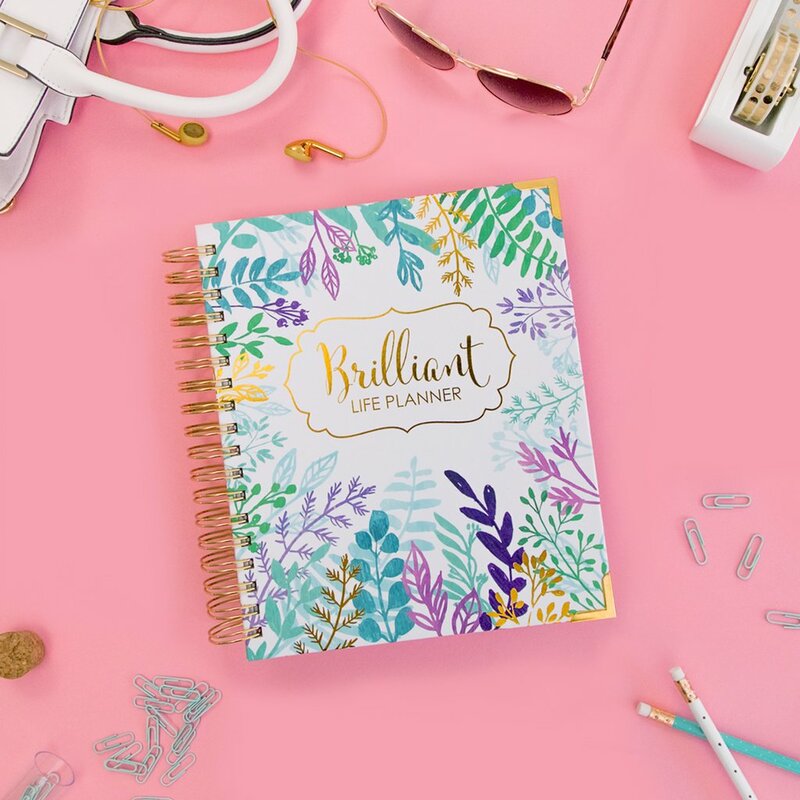 I’ve teamed up with Ashley Monda of Sunshine Sticker Co. to make custom sticker pages just for the Brilliant Life Planner! They are gorgeous, and I can’t wait for them to hit the shop! Another thing Julie does with her planner that I just love is to use the smallest size sticky notes for repeated routines or lists. Turns out, those sticky notes are just about 1.5 inches by 2 inches and can fit across a several-hour block on our planner. Julie can then take her sticky of to-do’s and move them to different days as needed. How great is that!? Don’t worry bullet journal fans…the planner works for you too! Julie also is a bullet journal user and has incorporated a half-and-half system in her planner. I do the same thing! I frequently use my big blocks of time as a to-do list. Julie’s son refers to her customers as ‘friends’. One afternoon as the two of them worked in their home office, he was very quiet and preoccupied with a project in the corner. He then came to Julie and showed her scraps of papers and glued them together. He said he made something for her ‘friends’ and they need to buy it so they’ll be happy. So cute! He gets it! And you’ll have to tune in to the podcast for a second adorable moment that Julie shared! What do you think? Will you try any of Julie’s planner hacks? I know I need to make better use of my clips, and I’m excited to give washi tape a try for some of my daily routines! « Can You Use a Planner to Build Character?